Dave and Karen Rich have created a place for Alhambra graduates from every era to return to and reminisce. And while it may be impossible to recreate the “coming of age” camaraderie Alhambra High School students share, Rich and his wife Karen are very close to doing just that with the www.alhambraalumni.org website. The have created a way to keep lingering memories and connections alive long after high school friends have drifted away by following the threads of classmate’s lives. “It’s a funny thing, I really remember the good times best,” Rich remarks about his high school experience. The free website began as a way to support the 1973 Class 30-year Reunion, gradually expanding to all four of Rich’s high school years and creating a demand for all of the classes. The couple embarked on a labor of love, constructing an AHS Alumni website which provides detailed information on graduating classes since the school’s beginning in 1901, as Alhambra Union High School. As the Richs’ researched, scanned and developed the site, which includes 1,000 articles about Alhambra High, their labor of love grew more time consuming and costly. When the idea of offering $20 annual memberships appeared as a way to cover costs and keep expanding the site, David and Karen decided to give 10 percent of the annual membership fee back to Alhambra High School. “Today’s students are our future alumni,” Rich said. The Riches spent months scanning more than 80 Torch yearbooks and gathering information and photos. The result is a site that provides information about reunions, a map of where alumni have settled around the world, and current photos of the town for those who have not been back to see the changes. Visitors can access a birthday calendar, upload yearbooks, batch email reunion-related correspondence, read news groups and group forums, add information about missing classmates, create a personal alumni profile and much more for site members. The “Slide Shows” section of the site offers film clips of a 1950s downtown Martinez flood and relocation of the Southern Pacific Engine 1258 to Rankin Park. The Richs’ are still on the lookout for yearbooks from 1910-1912, 1915, 1918, 1921-1925 and 1927. 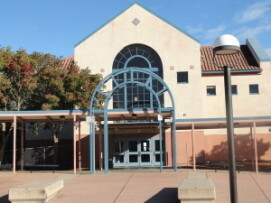 Visit www.alhambraalumni.org to learn more about how to join and help sustain Alhambra High School memories and connections by contributing information and photos.